Chris Abernethy focuses on intellectual property and patent litigation, and his practice also includes inter partes review and other contested patent office proceedings, IP licensing and transactions, and IP due diligence during mergers and acquisitions. He has represented clients in multiple federal courts, the U.S. International Trade Commission (ITC) and the U.S. Patent and Trademark Office. Chris’s litigation experience spans a broad array of technologies, including, among other things, computer microprocessor architecture, wireless communication protocols (LTE, UMTS), digital video encoding (AVC, HEVC), digital televisions and displays (LCD, OLED), battery charger technology, insurance analytics, catastrophic risk analysis software, self-balancing electric vehicles (hoverboards), pharmaceutical research and hepatitis C virus (HCV) medications. 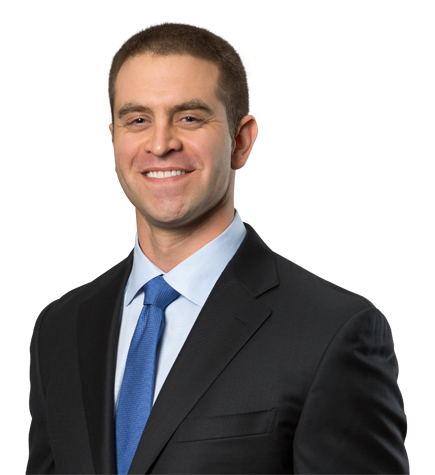 In addition to his practice, Chris regularly writes and speaks on topics relating to patent law. He has taught the semester-long patent law course at Loyola Law School, Los Angeles, and guest lectured on patent issues at Stanford Law School, University of California, Berkeley School of Law and the UCLA School of Law. Chris is also an active member of Irell & Manella LLP's Hiring Committee and formerly served on the firm's Summer Associate Committee. Chic v. Razor (C.D. Cal.). Defended Razor in a patent lawsuit brought by Chic alleging infringement by Razor's self-balancing electric scooter vehicles, known as hoverboards. Successfully defeated Chic's motion to dismiss Razor's counterclaim alleging patent unenforceability due to inequitable conduct. Our detailed inequitable conduct counterclaim alleging that Chic committed fraud on the patent office was found sufficient. We then served Raz­or's contentions regarding non-infringement and invalidity, and Chic promptly agreed to dismiss the case. WiAV Solutions v. Skyworks Solutions (S.D.N.Y.). Represented Skyworks in a lawsuit brought by WiAV alleging breach of contract relating to representations and warranties in a patent assignment agreement. The case raised the issue of whether certain patents were standard essential patents (SEPs). We pressed for discovery on this issue, including for detailed contentions from WiAV similar to infringement contentions in patent litigation. The dispute was then favorably resolved before WiAV provided such discovery, significantly in advance of trial. Aon Corporation v. Guy Carpenter & Company (S.D.N.Y.). Represented Aon Corporation, one of the world’s largest insurance and financial services companies, in a declaratory judgment action relating to a patent owned by its direct competitor, Guy Carpenter. The technology at issue concerned software that utilizes weather and catastrophe data to intelligently assess insurance risk in a target geographic area. After significant document and deposition discovery, we filed a motion for leave to amend Aon's pleading to add detailed inequitable conduct counterclaims, alleging that Guy Carpenter committed fraud on the patent office. The case then promptly settled on favorable terms, significantly in advance of trial. Unwired Planet v. Blackberry (ITC and D. Del.). Represented BlackBerry in patent litigation regarding mobile internet technology. Unwired Planet initiated proceedings in the ITC against Blackberry. Unwired Planet ultimately withdrew its complaint on the eve of trial after the ITC issued a claim construction order under which Unwired Planet admitted there was no infringement. In subsequent proceedings in the District of Delaware, the district court entered the identical claim construction, and Unwired Planet stipulated to non-infringement. The Federal Circuit thereafter affirmed on appeal. Idenix Pharmaceuticals v. Gilead Sciences (UK High Court of Justice). Assisted Gilead in defending against a challenge to the priority date of Gilead's patents relating to hepatitis C medications. Competitor Idenix Pharmaceuticals challenged the priority date of Gilead's patents in the UK on the ground that the patent family allegedly had a defective chain of title stemming from the family's parent application filed in the U.S. Following a bench trial in the UK High Court of Justice, the court ruled in favor of Gilead and found that Gilead's patent family was e­ntitled to the claimed priority date. Charge Lion v. Skyworks Solutions (E.D. Tex.). Represented Skyworks in a lawsuit brought by Charge Lion alleging infringement of a patent relating to battery charger technology. Charge Lion brought the lawsuit in the Eastern District of Texas. We filed an early motion to transfer venue to the Northern District of California. The dispute was then favorably resolved before the court ruled on our transfer motion.